The economy is booming. Stock prices are up. Unemployment is at its lowest level in years. And, if you think that sounds like an ideal environment for new start-ups and entrepreneurship trends, you're not alone. New entrepreneurs are taking advantage of the situation in record numbers. Recent Bureau of Labor Statistics data shows the number of self-employed people in the US grew to roughly 8,751,000 between 2014 and 2018. So, what can all these new business people look forward to? We've come up with a few factors in finance, technology, and logistics that we feel will most directly influence fresh start-ups going into 2019. Current entrepreneurship trends show an increasing amount of diversity in the areas of gender, age, education, and ethnicity. Women, for example, now start about 40% of all new businesses, and that rate continues to rise. In 2016, roughly 40% of new entrepreneurs identified as African American, Latino, Asian, or other non-white. Around 30% of new entrepreneurs are first-generation immigrants, and we expect those numbers to grow. The age range of entrepreneurs is widening as well. Millennials have overtaken baby boomers as the largest generation, and members of Generation Z are bringing fresh ideas to the marketplace with a spirit that is equal parts optimism and pragmatism. Their influence is bound to alter the face of entrepreneurship. The sharing economy refers to a business model based on collaborative consumption, or peer-to-peer sharing. Companies like Uber, Airbnb, Lyft, and Lending Club have turned the mantra "access over ownership" into massively successful businesses. How successful? Well Uber, the ride-share pioneer, has an estimated value of $72 billion, all in less than 10 years. With more than 75 million users, the number of Uber drivers surpasses the number of taxi drivers in many urban areas. Airbnb is another lucrative venture in the sharing economy. The San Francisco-based company boasts over 4 million property listings in 191 countries. That's more available rooms than the top five major hotel brands combined. Airbnb’s revenue in 2017 topped $2.6 billion, and its profit was close to $100 million. Numbers like these underscore the disruptive affect of the sharing economy. Experts predict peer-to-peer sharing will continue to be a factor in entrepreneurship trends in the coming year. Chargebacks can wreak havoc on your cash flow and profitability. This book is your guide for preventing chargebacks and, when they happen, fighting them more effectively. 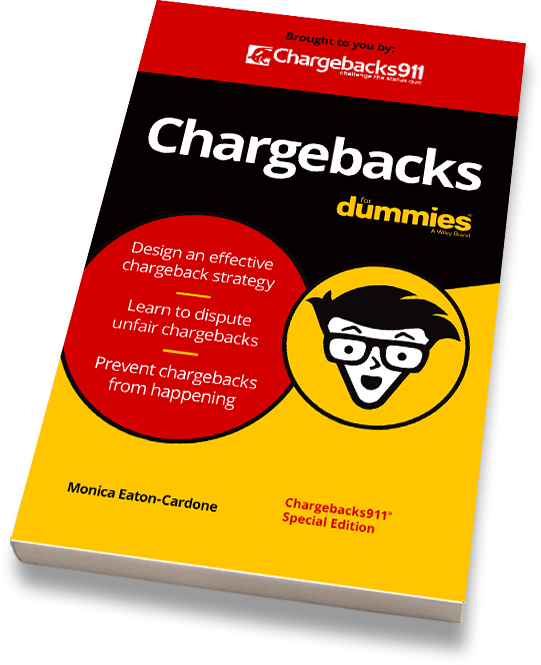 Request your FREE paperback copy of Chargebacks for Dummies today! By the second half of 2018, venture deal and dollar volume had set new records, with tens of billions of dollars in new venture capital being pumped into private technology companies. While this has helped open the door to new start-ups, both financiers and entrepreneurs realize that the current climate is not sustainable. The value of high-profile firms that raise hundreds of millions before ever generating revenue (let alone generating profits) is based on speculations, rather than any measurable metrics. That has produced the current state, where "unicorns"—startups valued over $1 billion—are still losing money years after inception. Uber is a perfect example: despite rising revenues, the company still posted a 2nd quarter loss of nearly $900 million. Entrepreneurs are now starting to talk more about a strategy of driving revenue from the very beginning. This will provide a tangible measure of the business’s potential, plus stronger, more sustainable organizations. In 2019, we should see more entrepreneurs setting themselves up to be a long-term success, as opposed to a brilliant flame that burns out fast. Traditionally, the goal of startups has been to grow as big as possible and as quickly as possible. The coming year, however, will see an increase in more outwardly responsible businesses that focus on profits, people, and the planet as a whole--not necessarily in that order. Consumers state a preference for shopping with businesses that address ethical and environmental concerns with their production, material sourcing, and so on. Many entrepreneurs, especially of the Millennial age group, hold those same values, and will continue to weave the concept of social responsibility more and more tightly into their business concept. One study found that nearly 90% of consumers say they’d purchase a product because a company advocated for an issue they cared about. Likewise, eight out of ten expect businesses to worry more about these important issues than they do about earning a profit. Expect to see more entrepreneurs aiming to keep their operations close to the ground and localized. The situation will also give rise to more so-called "green entrepreneurs," businesses that have been built on an eco-friendly model, provide an eco-oriented product or service, or a combination of the two. Epic natural disasters have almost become the new normal in the past few years. We’ve seen everything from hurricanes that can destroy healthy island-states, to wildfires that wipe entire towns off the map. Today's entrepreneurs aren't ignoring the changes happening in our environment. The US Small Business Administration estimates that 25% of businesses never reopen after a major disaster. This has led to more entrepreneurs incorporating a disaster preparation strategy into their business plans. Entrepreneurs are planning for physical loss. However, not nearly enough are preparing for revenue loss through compromised data, fraud, or chargebacks. 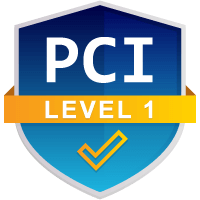 The average merchant loses $2.94 for every dollar of fraud perpetrated, a nearly 14% increase over last year. According to the LexisNexis® 2018 True Cost of Fraud℠ Study, funds lost to fraud represented 1.8% of total revenue in 2018. That’s up from 1.58% in 2017. This isn't some odd or one-off experience. 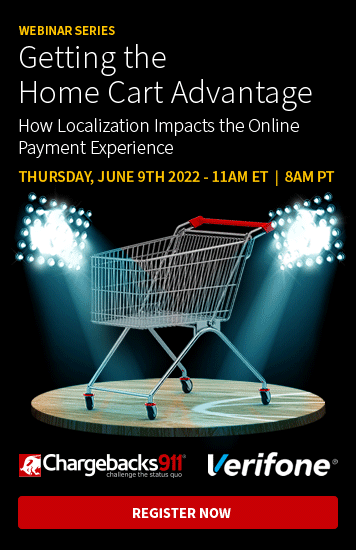 It can happen to any merchant, and for eCommerce merchants, it's almost guaranteed. Yet it's unusual for entrepreneurs to develop a proactive risk mitigation plan prior to launch—or even after risks start to emerge. Most simply function in reactive mode, addressing each threat as it arises to steal revenue. Hopefully, one of the entrepreneurship trends we'll see this year is toward a proactive fraud and chargeback management strategy. That’s how businesses will retain more revenue, achieve greater sustainability, and gain the competitive edge over less-agile businesses. Chargebacks can stop a start-up dead in its tracks. We can help. The health industry was slow to incorporate the technologies needed to streamline efficiencies. Just a decade ago, nine out of ten doctors in the U.S. updated their patients’ records by hand and manually filed them in color-coded files. Compare that to the modern landscape, where nearly 90% of physicians use an electronic healthcare record systems. Entrepreneurship trends reveal a growing acceptance of new ideas and technology, even in industries that have traditionally been resistant to innovation. Meeting unrealized needs through disruptive technologies is driving significant results. Another disruptive element that will impact 2019 and beyond are highly targeted niche markets. In particular, Millennials--who will have a predicted $1.4 billion in total buying power by 2020--have a passion for niche products, and have no problem taking a chance on new brands, even if other brands have worked for them in the past. This passion will continue to drive the growth of products like craft beers and locally produced foods, as well as items aimed at a smaller, more specific audience, such as vinyl records or cycling gear. In 2019, smart businesses will continue to leverage these specialty markets. Two factors are contributing to the decreasing role of the office in small businesses: remote access and the gig economy. The startup environment is well past the point of remaining tethered to the office. According to a Gallup report, nearly half of US employees were expected to do at least some work remotely in 2018, and that number is even higher among startups. People are becoming more and more comfortable with working at home, and increasingly accessible-yet-reliable technology has made it possible to start and operate almost any type of business from one's kitchen or den. Not only are these new on-demand workers entrepreneurs themselves, the increase in the talent pool has led to a greater prevalence of “solopreneurs:” individuals who rely on contractors and freelancers rather than maintaining a consistent workforce. Because of the incredible flexibility this model affords small business owners are increasingly turning to as-needed workers instead of hiring full-time employees. Those two things--greater capability for working remotely paired with more people content to work out of their homes--have diminished the role of the formal office. Of course, this can also inhibit the business’s scalability and public perception ... meaning entrepreneurs may at some point be forced to choose between accepting those limitations or going with a more traditional workspace. America was built on an entrepreneurial spirit. Enthusiasm for entrepreneurship is particularly strong among young people, with one in every four Millennials reporting that they would like to eventually own their own business or otherwise exhibit entrepreneurship. And, as entrepreneurship trends indicate, 2019 should be as good a time as any to put those dreams into action.